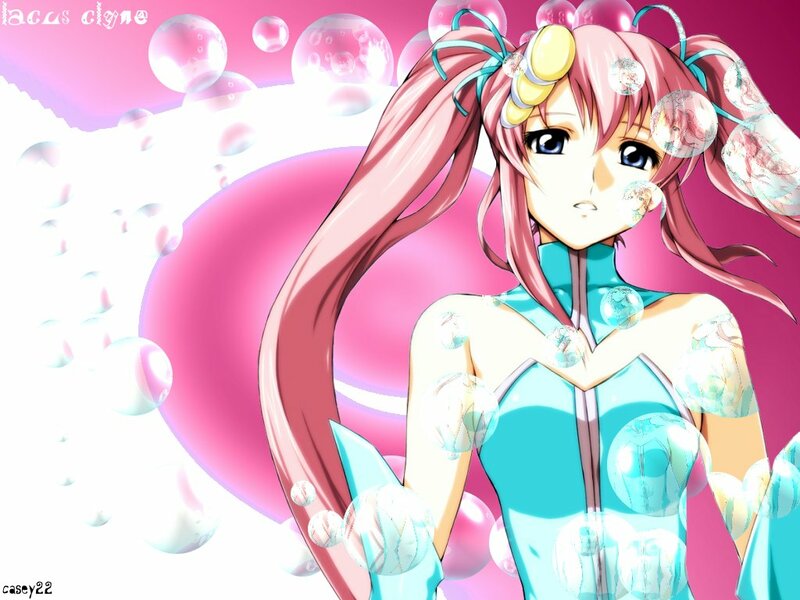 A wallpaper of lacus clyne from gundam seed/destiny, with an ice-cream-ish backround and bubbles. I like the colors, very clear. Thanks.